#072: If you're a reluctant leader or getting over a Good Girl complex, fully claiming your power will feel like a daring or edgy proposition. For many of us, it requires a profound stretch beyond our comfort zone. In this episode, we begin an inquiry to get more comfortable with the foundation for our sovereignty - our own power. Includes useful practices to support you with not only making peace but reveling in your power. #071: Self-Forgiveness expert, Charmayne Kilcup, PhD. explains the links between trauma, self-judgment and the healing power of self-forgiveness. She shares the key role this powerful medicine played in her own healing journey from eating disorder, depression and self-loathing as an adolescent. She guides us through a powerful self-forgiveness practice from her new book, Heal Your Heart: How to Awaken Your Soul with Self-Forgiveness. #070: Coming out of hiding to risk being seen is vital to becoming the woman we came into this life to be. This episode explores key elements and challenges we face with visibility and includes two practices to create more ease with being fully seen in your life. #069: Today I sat down with my 14-year-old daughter to discuss our own Persephone and Demeter journey to the underworld and back. #068: Our wellbeing, fulfillment, and wholeness depend on our ability to express ourselves fully, freely and without apology. In this episode, we examine how to move beyond the common fears and blocks we face to our wholehearted expression of ourselves. #067: After 40 plus years as a speech-language pathologist and psychologist helping others reclaim their voice, Barbara Glazier-Robinson realized it was time to reclaim her own and step into the spotlight to ignite change from within. Now Barbara is using her voice and creativity for activism and advocacy through her first book, Grace from Space: A Race to Save Earth. A cosmic fairy-tale for all ages, but especially children 8 - 11. Listen to hear how she broke her silence as a "lifelong listener" to finding her voice, taking the stage and crossing the threshold to activism. Also discussed: Claiming who we are and fitting in; Shame and our Freeze Response; using Art to address the pain of our times; KC Baker, WomanSpeak and Martha Beck. #066: We're being invited to create our lives from a state of Love. Self Love. Love for Life. And Love for others. We can accomplish this through opening to states of spaciousness and Grace: in our bodies, relationships, schedules - in the way we live our lives. In this episode we receive this invitation as well as a few ways to practice opening to the spaciousness and Grace, which allows use to create our lives from Love. #65: Katherine Witteman has a powerful story of transformation. You would never guess if you met her today her early years were a desolate time of isolation, fear, perfectionism and driving herself. 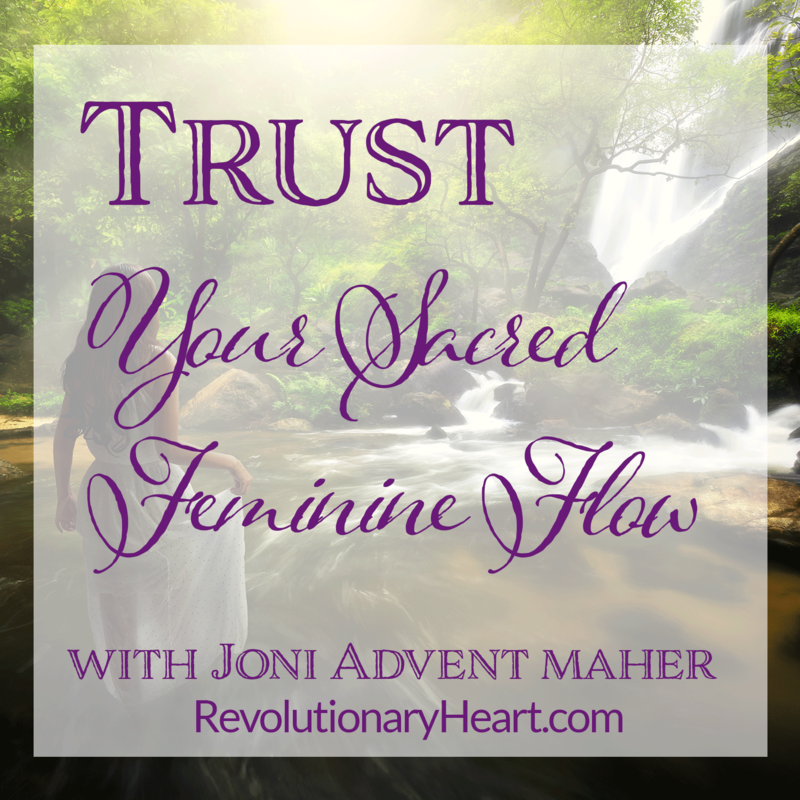 She shares her inspiring journey from this state of desperation to the awakening of her mystic’s heart. She is an overflowing expression of love from start to finish. A Certified Intentional Creativity Teacher, and founder of Dancing Heart Art Katherine shares numerous mystical experiences including the inspiration for her upcoming sacred pilgrimage she’s offering to the ancient site of Mystical Avalon. A divine appointment & soul agreement for those pilgrims destined to join her. Listen as she describes Sacred Heart Journaling TM, the new spiritual technology she was guided to create in preparation for the Pilgrimage. An intuitive process combining prayer, poetry, meditation, journaling, energy painting and Intentional Creativity, Sacred Heart Journaling allows you to paint light and read the divine information encoded within it. It is a magical doorway that empowers us to align with our inner heart-wisdom and commune intimately with the mystical, healing energy of ancient power places and sacred sites. Lastly, Katherine shares a generous free gift for podcast listeners, which includes a copy of a hand painted Sacred Flow image and meditation designed to call you home to a state of Sacred Flow.One listener will win the original Sacred Flow painting - consciously encoded with layers of sacred intention, blessings, prayers, and energetic activations. Each brushstroke holds the healing vibration of unconditional love. The drawing for this March 20th, Spring Equinox 2019. Intentional Creativity TM and it's co- founders Shiloh Sophia McLoud and Sue Hoya Sellers. My Aunt came of age just prior to WWII as a member of the "greatest generation". My recent reflections on her journey brought an important realization about our collective call to action as way showers in the coming year. This episode includes: A powerful transmission & call to action for the coming year; an exploration of how your contribution supports our collective spiritual awakening; a powerful soul inquiry to clarify your unique contribution; a blessing for the New Year; and a recognition of what awaits you when you say Yes to your next step. Ilaria Bohm shares her unique perspective about the sacred feminine having walked in both worlds during her life – she was raised as a young girl in an ancient world of matriarchy, honoring the creative power of the feminine and came of age in the world of the patriarchy. Ilaria is a writer, artist, healer and animal whisperer who spent the first 7 years of her life in a matriarchal, aboriginal community, the Native people of that part of the world call the Birds Isle of Oceania. She later returned for 9 years as a young woman, just out of University. In the interim she lived in the Western world in Europe and Australia. Currently a PhD. student in Anthropology, Ilaria is living and researching in a remote area below the Himalayas in the land of the Daughters. Living with the Moso people who follow the laws of the Dabus, the grandmothers, which lead their society and carry on ancient traditions through their mother centered families. Mass tourism and globalization are threatening the survival of their traditions and way of life, which could fade away within their generation or that of their daughters’. While our lives in the modern world might be far removed from these practices and societies I believe there is great value in sustaining these ancient sacred feminine roots on the planet. These two societies are holding a piece of wisdom for our human family. Their prayers, practices and ceremonies undoubtedly support our awakening in the modern world. Ilaria and her spiritual sister, a Moso native are currently working to preserve these traditions and the Moso way of life by raising funds to create a guest house to support ongoing research of matriarchal societies. In addition, the guest house would be a space for women from all walks of life, to find a refuge from patriarchy, to re-discover themselves in sisterhood, motherhood, daughterhood and womanhood in general. Ilaria has committed to sharing the wisdom of these cultures and women through her research, and writing. Copyright 2016-19 Joni Advent Maher. All rights reserved.